Campylobacter is the most common form of bacterial foodborne illness in Scotland and the rest of the UK. It causes a diarrhoea infection and although there are more cases in the warmer months people can get it at any time of the year. People can get campylobacter infection from environmental exposures (e.g. contact with farm animals) or by eating contaminated food. What happens if you get infected with campylobacter? The majority of people who get ill from campylobacter recover fully and treatment is not usually required for campylobacter infection. 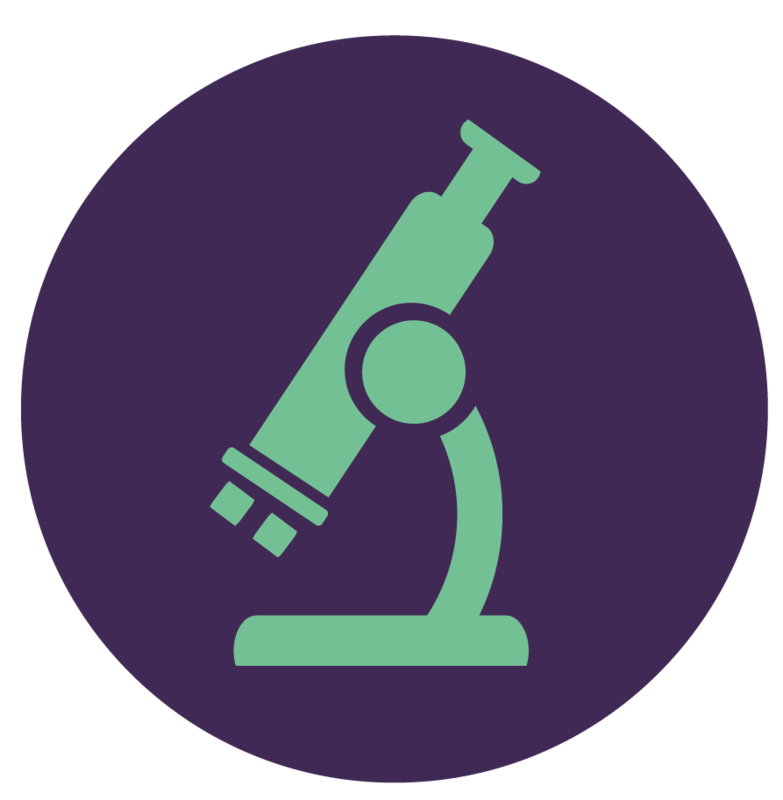 However for some patients, campylobacter can result in much more serious illness post infection, including irritable bowel syndrome (IBS), reactive arthritis and, in rare cases, Guillain-Barré syndrome – a serious condition of the nervous system. The time taken from ingestion of campylobacter to the onset of symptoms is usually 2 to 5 days but it can be as short as 1 day or as long as 11 days. Symptoms typically last 7 days. Those who are most at risk from severe illness are children under 5, the elderly and those with weakened immune systems. People can become ill with campylobacter by eating contaminated food, drinking contaminated water, or having contact with infected animals (such as pets and farm animals). For advice on how to avoid getting ill from environmental exposures see the NHS Inform avoiding bugs and germs outdoors page. In the kitchen campylobacter can spread by improper handling and cooking of food such as raw or undercooked poultry, or eating something that touched it (i.e. cross-contamination). It can also be spread by foods that are likely to have campylobacter in them such as raw/undercooked poultry or meat, dairy products like milk and cheese that are unpasteurised, and contaminated water. 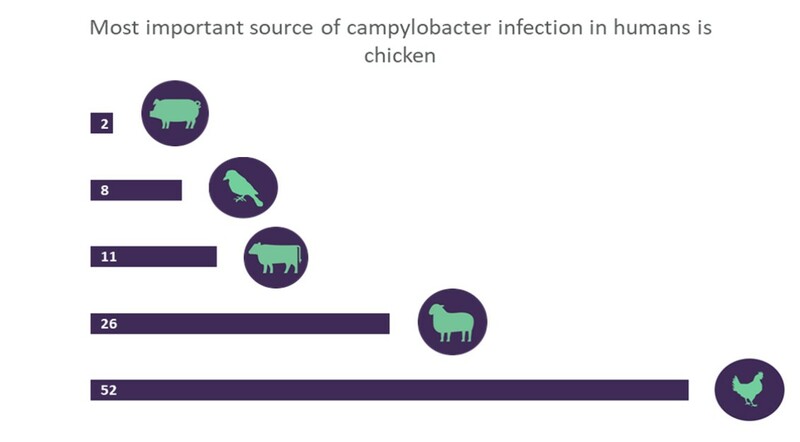 One of the most important sources of campylobacter infection is poultry meat – over half of cases of campylobacter food poisoning comes from contaminated poultry. Even one drop of juice from raw poultry can have enough campylobacter in it to infect a person. So it is especially important to cook chicken meat thoroughly whether it’s in a dish or cooking it on the barbecue. To avoid pink chicken on the barbecue follow our advice. The best way to kill campylobacter is by thoroughly cooking meat. Using a food thermometer check food reaches 75C in the thickest part of the meat. If you don't have a food thermometer check the meat is steaming hot with no pink meat and the juices run clear. Chicken is a common source because campylobacter naturally survives and grows in the gut of chickens but individual birds show no signs of illness. When an infected bird is slaughtered, campylobacter can be transferred from the bird's gut to the meat. FSS has commissioned projects, conducted in Scotland, that demonstrated chicken sources were of greatest relevance. It showed that chicken was the largest source of human infection at 52%, followed by 26% for sheep, 11% cattle, 2% for pigs and 8% for wild birds.